Recent press coverage has cast severe doubts on the security that entry level door locks, usually fitted as standard, can provide. Unsophisticated locking cylinders are seen as easy to snap, risking break-ins and all that they entail. 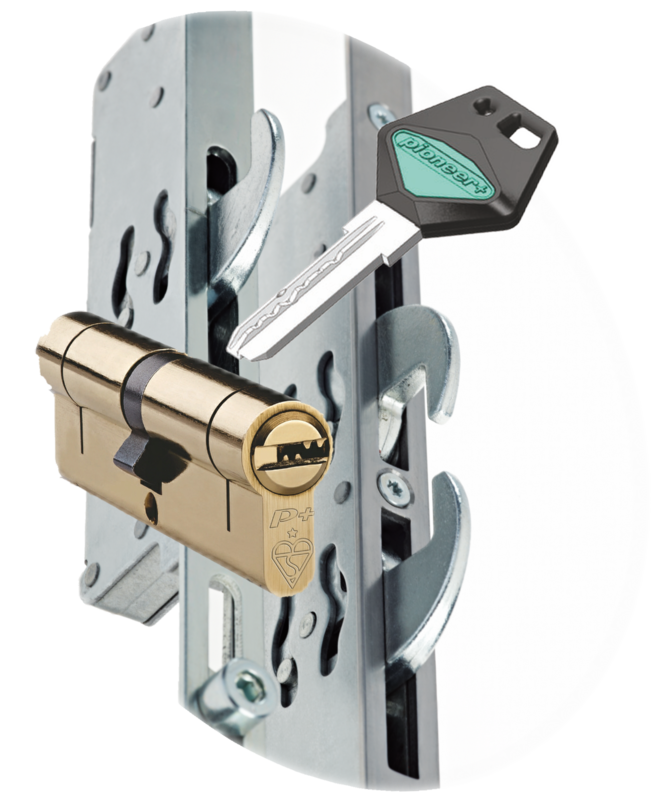 But innovator PlatinumNRG has taken the sensible step to make basic locks history and to ‘up’ the specification for every door it sells. Now every composite and PVCu door they produce, including Stable Doors, Patio Doors and Bi-Folding Doors, are fitted with a BSI Kitemarked cylinders. Each features an Anti-drill, Anti-bump, Anti-pick and Anti-screw door barrel that comes with a 10 year mechanical guarantee, fitted as standard. Problem solved. A further enhancement to security across their broad range of doors is the introduction of the new ‘Ingenious’ door lock, on PVCu Residential and French Doors as standard. This new lock features 5 duplex hooks, 2 roller cams and a one piece keep for improved security, together with a latch snib to prevent the householder from accidentally locking themselves out. Best of all, for PlatinumNRG customers the new locks come at no extra charge and are the foundation for an overall initiative that will secure comprehensive PAS024, Secured By Design and Document Q accreditation. Now that’s a better story to tell.